Legal persons dominate today’s global economy. Large multinationals engaged in transportation, construction, telecommunication, mining, energy, chemicals, and many other sectors have a huge share of global business activities. This puts them at risk of getting involved in high-level corruption cases. Perhaps not surprisingly, many of the biggest corruption investigations today concern legal persons rather than natural persons. For example, China fined GlaxoSmithKline, the UK’s biggest pharmaceutical firm, $490 million after finding it guilty of bribery. The U.S. Department of Justice imposed nearly $220 million in fines on Japanese company JGC for bribing Nigerian officials to secure development contracts for liquefied natural gas facilities. More recently, government agents raided the headquarters of Lotte group¬-among the largest conglomerates in South Korea-as part of a corruption probe. One of the highest fines ever imposed occurred to Alstom S.A., a French power and transportation company, sentenced to $772,29 million. Overall, Alstom paid more than $75 million in secret bribes to government officials in several countries, such as Indonesia and Taiwan. Criminal prosecution has an important deterrent effect on corruption. However, punishing only natural persons in cases that directly involve corporations might not be enough. We need to establish clearly the liability of legal persons for corruption offences in order to deter corporations willing to break the rules. This is easier said than done. Many countries today remain reluctant to impose criminal liability on legal persons because of a strict adherence to the traditional maxim that requires moral culpability for the commission of criminal offences. Article 26 of the United Nations Convention Against Corruption (UNCAC) establishes the liability of legal persons as a mandatory provision. At the end of 2015, ten of the eleven countries in the Southeast Asian region had completed or were concluding their first cycle review (Chapter III and IV) of the UNCAC, which included Article 26. The review found that most Southeast Asian countries do not sufficiently cover the requirements of UNCAC Article 26. 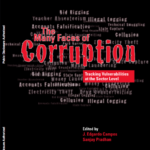 Even in countries where the appropriate legislation is in place, there have been only few prosecutions and convictions of legal persons for corruption offences. In addition, eight of the ten Southeast Asian countries that have completed their first cycle review do not have specific legislation explicitly addressing the issue of active bribery of foreign public officials and officials of public international organizations, as required by UNCAC Article 16, Paragraph 1. Foreign bribery is an act involving a foreign national providing or offering a benefit to another person from a different country, or causing a benefit to be provided or offered to another person from a different country, where the benefit is not legitimately due. This issue is very relevant given the high degree of economic development and integration among the countries in the region. To support ongoing anti-corruption reform efforts in the region, the Regional Office for Southeast Asia and Pacific (ROSEAP) will organise a Regional Workshop on Liability of Legal Persons for Corruption Offences at the National and International Level, in Bangkok, Thailand, on 16-17 August 2016. The workshop will bring together about 50 policymakers and practitioners from across Southeast Asia and beyond. The goal is to raise awareness on these topics among public officials from the region and strengthen legislative and implementation capacities of the national authorities in ASEAN with regard to Art 16 and 26 of the UNCAC. Open Government Partnership and UNDP Bangkok Regional Hub, supported by IBM Philippines, co-organized the 2016 OGP Asia-Pacific Regional Dialogue, hosted by the Asian Development Bank in Manila, Philippines, on 21-22 July 2016. Over a 100 civil society group representatives, civil servants and champions of open governance gathered to exchange knowledge, challenges and perspectives on how to ensure transparent and efficient institutions, delivering high quality public services for their citizens. The dialogue aimed at raising the ambition level of individual countries’ commitments to open governance, while promoting and deepening collaboration between government and civil society. The discussions covered a range of diverse topics, including open data, fiscal and legislative openness, openness in natural resources, public service delivery, how the implementation and monitoring of open government initiatives can be strengthened to deliver better results and how open governance can be used to address the Sustainable Development Goals (SDGs). Open government is not an end, it is a means to engage citizens in the public affairs of their country, founded on the pillars of transparency, accountability and citizen engagement. The linkages to the Goal 16, whose targets also address access to information, inclusive, accountable and transparent institution, rule of law, are evident. However open governance brings opportunities for an improved public service delivery across all sectors, thus contributing to the achievement of many other SDGs (health, education, gender equality, etc.). Recently UNDP and OGP mapped out open government initiatives that are contributing to or have the potential to contribute to the achievement of the Sustainable Development Goals (SDGs) in the Asia-Pacific region (“Transforming our world through open government”). Initiatives from 15 countries are implemented to achieve open government, enhance transparency and accountability, improve service delivery: they ranged from involving citizens in auditing public service delivery, increasing access to justice for victims of environmental pollution, using mobile technologies to allow citizens and CSOs to monitor activity in the extractives sector, to improving the ease of doing business and linking parliamentarians to rural communities, just to name a few. The top three initiatives (Check My Service – Mongolia, Community Initiative for Common Understanding – Nepal, Citizen Satsifaction Index – Pakistan), selected for their innovative approach to enhance transparency, accountability and citizen engagement and for their focus on “leaving no one behind”, were presented at the dialogue. More than 100 civil society group representatives, civil servants, and champions of open governance gathered to exchange knowledge, challenges, and perspectives on how to ensure transparent and efficient institutions, delivering high quality public services for their citizens. Recently UNDP and OGP mapped out open government initiatives that are contributing to or have the potential to contribute to the achievement of the Sustainable Development Goals (SDGs) in the Asia-Pacific region. Initiatives from 15 countries are implemented to achieve open government, enhance transparency and accountability, improve service delivery. The top three initiatives (Check My Service – Mongolia; Community Initiative for Common Understanding – Nepal; Citizen Satisfaction Index – Pakistan), selected for their innovative approach to enhance transparency, accountability and citizen engagement and for their focus on “leaving no one behind”, were presented at the dialogue. UNDP in Ukraine’s Enhanced Public Sector Transparency and Integrity Project (2015-2018) aims at ensuring the compliance of Ukrainian corruption prevention institutions with international standards for transparency and accountability and, thus, helping them become more responsive and effective. 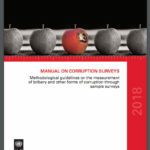 The project has released a praxis case report for Ukraine’s National Agency for Prevention of Corruption (NAPC), titled “European Anti-Corruption Agencies: Key Preventive Mechanisms.” This case report summarizes smart practices used by five European anti-corruption agencies in Slovenia, Macedonia, Serbia, Latvia, and Romania. It presents them for possible application by the NAPC. 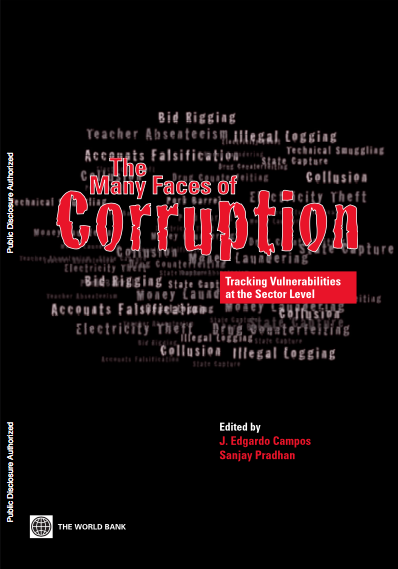 Among others, the report concentrates on issues of institutional architecture, provides analysis of key preventive mechanisms, including asset declaration verification, conflict of interest or whistle-blower protection, and offers key lessons learned accumulated over the years. The research results from collaboration of a group of UNDP-commissioned experts. The report is one of the tools designed for the NAPC as part of the initial institution-building package. It is expected to help enable the newly created Ukrainian institution benefit from corruption prevention experiences of similar agencies and structures in Europe. The Enhanced Public Sector Transparency and Integrity Project waslaunched in March 2016 with funding support from the Danish Ministry of Foreign Affairs. It aims to review existing impediments towards the full functioning of the NAPC, galvanize the deployment of its mandate, and ensure the development of conflict of interest management and an effective e-asset declarations verification system. “Ukraine sets sail for an ambitious anti-corruption reform which cannot be completed without a sound institutional architecture [such as the NAPC],” said Janthomas Hiemstra, UNDP Country Director in Ukraine. Samoa’s Senior Government Officials are working with the UN in a two-day workshop to analyse where Samoa is already complying with best practices in the UNCAC (United Nations Convention Against Corruption) and to identify challenges still needed to be addressed to boost integrity in the public service. Enhancing integrity and good governance is a key phenomenon in two of the most important national strategic documents: the Public Administration Sector Plan and the Strategy for the Development of Samoa. This is a clear demonstration of Samoa’s commitment to combating illegal practices and ensuring application of relevant integrity standards across the public sector. Over the last year the United Nations has worked closely with the Government and other non – governmental actors through the UN Pacific Regional Anti-Corruption (UN-PRAC) Project. Back in February, the UN-PRAC Team undertook workshops targeting youth and civil society organizations mainly aimed at raising awareness on the UN Convention Against Corruption. Later in April, at the Induction for the new Members of Parliament, the team also delivered a presentation on how fighting corruption and crime is key to building more inclusive and just societies, in line with Sustainable Development Goal number 16. To maintain the momentum, UN-PRAC in partnership with the Office of the Public Service Commission, organised an “Integrity Workshop for Senior Government Officials”. The activity, held on Monday and Tuesday at the Millennia Hotel, brought together more than thirty representatives from Government Ministries. Are you promoting open government initiatives in a country of Asia-Pacific to contribute to the achievement of the SDGs? What transformative steps are you taking to promote more open and inclusive societies? Please share these initiatives with us and you might be selected to present them at the forthcoming Asia-Pacific Regional OGP Workshop hosted by the Asian Development Bank, in collaboration with the Open Government Partnership Support Unit, United Nations Development Programme, and Ford Foundation in the Philippines! The United Nations Development Programme (UNDP) and the Open Government Partnership (OGP) Support Unit are joining hands to put into action the commitments under the 2030 Agenda for Sustainable Development. Citizens want transparent, effective, and accountable governments, with institutions that empower people and respond to their aspirations. OGP is a multilateral initiative that aims to secure concrete commitments from governments, in partnership with civil society, to promote transparency, empower citizens, fight corruption, and harness new technologies to strengthen governance, building on the four open government principles of transparency, accountability, citizen participation, technology and innovation. More than 50 OGP participating countries have endorsed the Joint Declaration on Open Government for the Implementation of the 2030 Agenda for Sustainable Development. The Declaration commits participating governments to take advantage of the OGP infrastructure — including the National Action Plan and the guaranteed participation of civil society — to help achieve the United Nation’s Sustainable Development Goals. UNDP has been a multilateral partner of OGP since October 2013. √ The initiatives are based on innovative approaches, methodologies and/or use of new technologies. Illustrative examples of open government initiatives that can spur progress on the SDGs can be found here. All the initiatives meeting these criteria will be promoted via UNDP and OGP’s international networks. The top 3 initiatives with the highest potential to transform our world and “reach the last mile” will be selected for presentation at the Asia-Pacific Regional OGP Workshop hosted by the Asian Development Bank, in collaboration with the OGP Support Unit, UNDP, and Ford Foundation in the Philippines on July 21-22 2016. UNDP will cover the cost of travel for the presenter of the initiatives. Whether you are a representative from a UNDP Country Office, government, civil society, academia, development partner or a private citizen, we would like to hear about these innovative initiatives taking place in the Asia-Pacific region (both in OGP participating and non-participating countries). Please share your experience by filling in the template attached and sending supporting materials (link to webpage, video, brochure, report, etc.). Deadline for submitting this information to Liviana Zorzi (liviana.zorzi@undp.org) is 3 June 2016. 08 APRIL 2016, Bangkok: Corrupt judicial systems undermine reforms and are a major impediment to ensuring access to justice and human rights for ordinary citizens across the world, says a new report published by the United Nations Development Programme and U4 Anti-corruption Resource Centre on Friday. Titled, A Transparent and Accountable Judiciary to Deliver Justice for All, the global report cites survey data suggesting that the public perceive the judiciary as the second most corrupt public institution, after the police. “Judicial corruption disproportionately affects the poorest and most marginalised citizens of a community because they are far less likely to be able to pay a bribe or have access to influential networks,” said Patrick Keuleers, Director, Governance and Peacebuilding at UNDP headquarters. In Bangladesh, for example, the average bribe of US$108 that a court user has to pay accounts for roughly a quarter of the GDP per capita or average annual income in that country, says the report. “The UN system and its partners support numerous initiatives to strengthen judicial systems around the world, and corruption remains a major stumbling block to the success of these efforts,” Keuleers said. The UNDP report concludes, however, that opening up judicial systems to scrutiny can strengthen integrity and increase public trust without impeding independence of the judiciary. “We are advocating the judiciary to open itself to peer learning by engaging with counterparts in other countries and allowing meaningful capacity assessments that will lead to increased judicial integrity” said Phil Matsheza, Regional Practice Leader in UNDP’s Bangkok Regional Hub. The report highlights successful experiences from Afghanistan, Bosnia and Herzegovina, Colombia, Indonesia, Kenya, Kosovo3, Nepal, Nigeria, Paraguay, Philippines, and Somalia, in promoting transparency and accountability within the judiciary. It discusses internal oversight within the judiciary such as judicial councils, and explains the mechanisms used in Somaliland to enforce sanctions against judicial officers in cases of misconduct. It also looks at how stakeholders such as associations of judges and court users can become allies in reforming judicial systems. 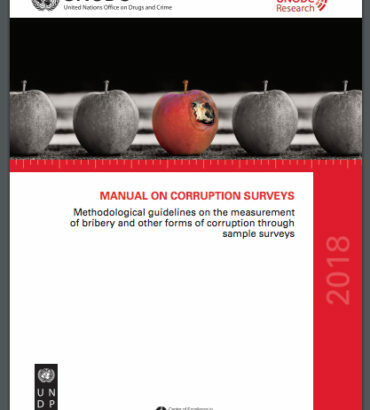 For example, the report cites the use of surveys and consultations with court users that have led to more responsive services and reduced demands for bribes in countries such as Kenya and Nigeria. Even in post-conflict environments such as Afghanistan, where change is difficult, NGOs working with citizens to monitor trials in selected provinces have contributed to improving the administration of justice. While technology is not offered as a panacea to corruption within justice systems, modernisation and automation of judicial services can be key enablers for judicial transparency and accountability, the report adds. For example, in Indonesia digitising court documents and statistics has helped increase transparency for people who can access judgments online, reduce bureaucracy, and achieve efficiency. The report stresses that the success of these reforms efforts are predicated on strong political will and national ownership. The recently adopted 2030 Agenda for Sustainable Development includes key targets for providing access to justice, and tackling corruption. The report provides a fresh perspective on ways to develop integrity plans as part of broader judicial reforms, by illustrating inspirational experiences that countries can adopt to deliver justice for all. For additional information, please contact Elodie Beth, UNDP Regional Anti-Corruption Advisor, at elodie.beth@undp.org. 1. Perception survey Global Corruption Barometer, Transparency International, 2013. http://www.transparency.org/gcb2013/report. 3. The reference to Kosovo is understood to be in the context of Security Council Resolution 1244 (1999). The UNDP Seoul Policy Centre (USPC) and the Seoul Metropolitan Infrastructure Headquarters (SMIH) of the Seoul Metropolitan Government (SMG) undertook a full-day workshop to discuss the most effective ways to share with developing countries Seoul’s experiences and lessons learned from its Clean Construction System (CCS) through USPC’s Development Solutions Partnership (DSP) on Open Data and Public Construction Management for efficiency, transparency, and integrity in the public construction sector. Introduced in 2011, CCS is an effective technological and institutional approach to enhancing transparency, efficiency, and the protection of construction workers’ rights in the public construction sector. The system won the prestigious UN Public Service Award in 2013, in recognition of its innovation and potential for application in other countries. The workshop was organized to strategize how to provide follow-up support to countries that had participated in the International Workshop on Public Construction Transparency, co-organized by USPC and SMG on 2-4 December 2015, which had shared CCS with some 70 overseas participants from 20 countries around the world. Based on the demand from the workshop participants for sustained partnerships and support, USPC and SMG in partnership with GAIN had released a Call for Expressions of Interests in February 2016 to solicit proposals from these countries, in order to provide advisory and technical support, combined with seed funding, for their application of the learning points from the December meeting. Almost all of the eligible countries had submitted their proposals, thereby making the selection process very competitive. At the workshop, participants intensive discussions with Seoul Government partners on how to design and implement effective triangular cooperation among UNDP, SMG, and partner countries. Participants also deliberated each of the submitted proposals against the a set of evaluation criteria l that include implementation opportunities and capacities in candidate countries, project sustainability and ownership, availability of necessary expertise and resources, and quality of the proposed work plans. Support will be delivered for the period of 2016-2017 to a maximum of five countries selected through this competitive process following further in-depth discussions. DSP partner countries will apply Korea’s CCS and lessons learnt shared at the Workshop, and implement various initiatives to promote more transparent, efficient, and accountable management of the public construction sector through at the country-level, with Seoul’s CCS as a reference point. Since the early 2015, the UNDP Seoul Policy Centre (USPC) has been partnering with the Seoul Metropolitan Infrastructure Headquarters (SMIH) of the Seoul Metropolitan Government (SMG) and the UNDP Global Anti-Corruption Initiative (GAIN) to share Seoul’s CCS under the DSP. The ‘Open Data and Public Construction Management’ DSP is one of two DSPs UPSC is currently conducting alongside the ‘Anti-Corruption Monitoring and Evaluation Systems’ DSP in partnership with Korea’s Anti-Corruption & Civil Rights Commission (ACRC). Initiated in 2014, DSP is a new approach for USPC, acting as a knowledge broker and facilitator, to connect Korea with the wider UNDP network and enhance the Korea-UNDP partnership on strategic development issues globally. DSPs work through triangular cooperation among Korean Government institutions, UNDP, and partner countries. The workshop took place on 14 March, 2016 in Seoul, Korea.